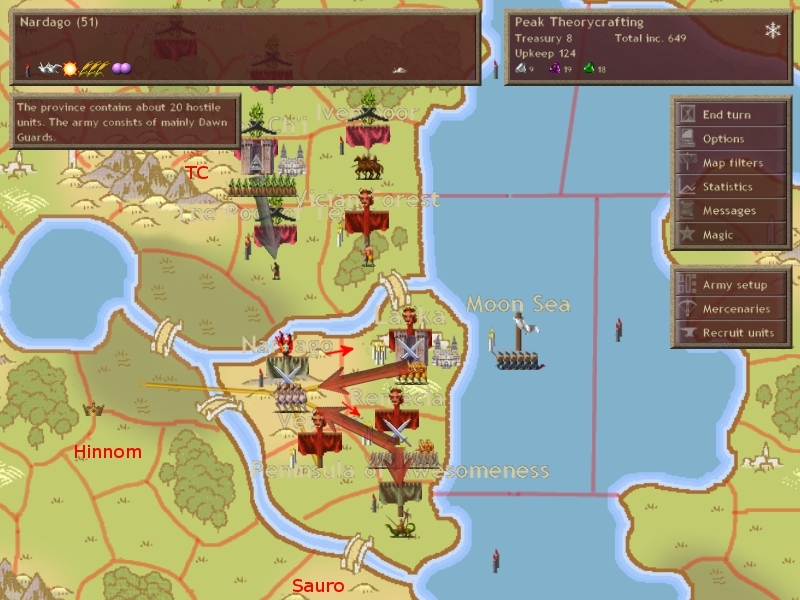 My arrows are in the air in that screenshot, and they wear down his archers through constant bombardment. 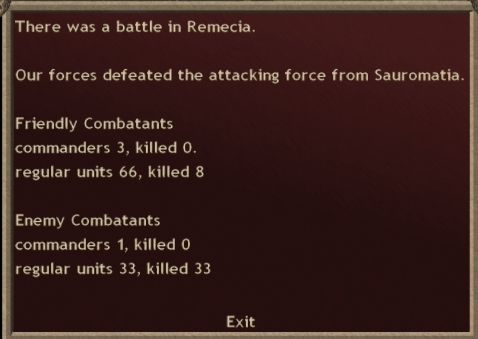 But what does Sauro in, other than being horribly outnumbered, is that my sacreds only take two rounds to close. This despite his fully rear placement. 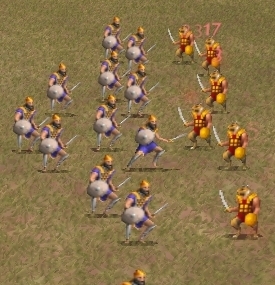 Ranged units in melee cannot use their ranged weapons, and their adjacent squad members will run into melee as well. So the moment I've closed to the melee distance, half his archers have been disabled. The next round it gets worse. 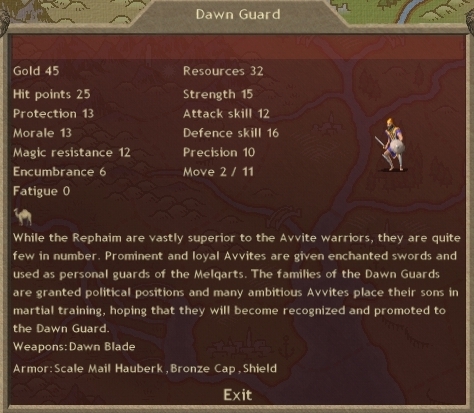 Dawn Guard are the best Hinnom non-sacred infantry. Amazingly elite stats and a magic weapon, but still size 3 and therefore 2 per square. They are extremely expensive, however. I am outnumbered nearly 2:1. This makes his lines much more dense than mine. Since I'm not filling the squares, each of his units are less likely to be hit with multiple attacks, and you can't one-shot a giant. 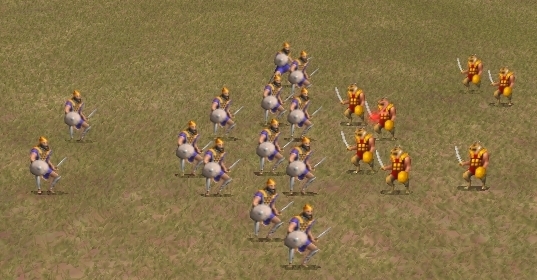 My units are more likely to take multiple attacks. That didn't go well. 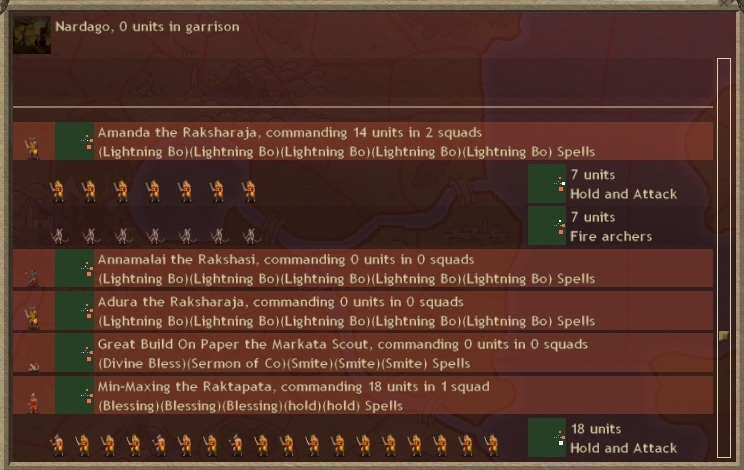 Had I even 10 units, it would have been much closer. This turns' orders are prepared for Hinnom to move in literally any direction available to him. I do this by ordering counter-movement strong enough to beat his force along every movement option he has available. If he moves to the undefended province, my orders will cut him off completely. If he moves to the cap, I'm moving out of it with mages scripted to Lightning Bolt, from my newly research evocation tree. If he moves southeast, he runs into 18 sacreds from my main army. The first half, up to Great Build on Paper, is moving out of my cap. Very simple forward placement and Lightning Bolt scripts. The archers might fulfill a chaff role if the sacreds die or are avoided. The second half, from my prophet down, is out of the southeast province, and again has very simple placement. In an ideal battle my forces would combine and his would be blocked from moving. But I'm confident I'll win even if I don't combine. 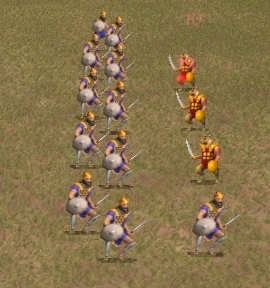 You absolutely must be willing to split your armies if you want to succeed at dom3 combat, even in situations where the success of your main army is uncertain. 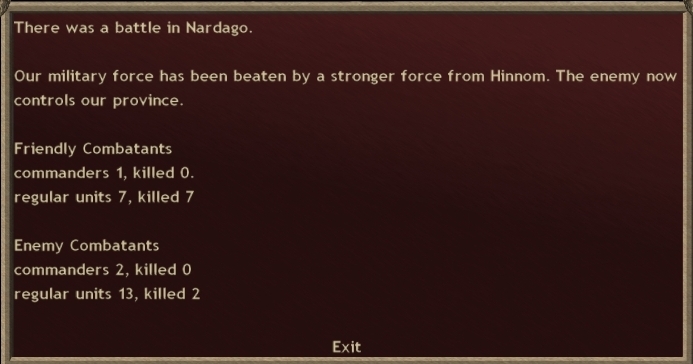 I need to retake that southern province, and these units won't be useful against Hinnom. Yes, they're at risk, but if all Sauro has is PD I'll clear it no problem.